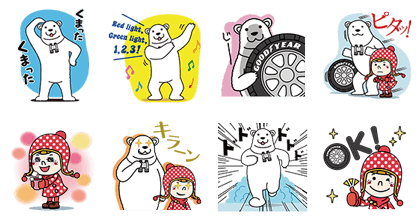 http://www.line-stickers.com/ – Navi & 6 (Rock) Line Sticker | Navi, the mascot of Goodyearʹs Ice Navi series winter tires, and Rock the polar bear join forces in a charming set of stickers! Available till January 9, 2015. 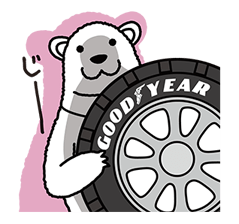 BAYCREW’S CLOUDA X STARDUST The LINE Characters Go to ad:tech Cutie Chatty Friends + Animated!